Without her lost love, Thuy is on the verge of death by boredom in Saigon, Vietnam. Written and directed by Jeannie Nguyen, “Sigh Gone,” is a stylish portrait of a lonely day-in-the-life, surrounded by a bustling city but feeling aimless and heartbroken. Thuy sulks around her apartment pining for the return of her love, until she finally brings herself to face the day. But she can’t get around, doesn’t know where to eat, has lost all track of time. The last straw is forgetting her best friend’s birthday, and, after arriving with a “Happy Birthday, Yesterday” cake and finding her gone, she realizes she can’t go on like this any longer. Clever and beautifully-executed, Nguyen’s film is filled to the brim with striking images and vibes, topped off with a lively and soulful score by Ryan Galvan and SoulGook. [Watch on YouTube]. (10 minutes). Written and Directed by Jeannie Nguyen. Cinematography by Andrew Yuyi Truong. Starring Linh Mai Hà. Original Score by Ryan Galvan, SoulGook. Associate Producer: Quân Nguyễn. Producer: Nâu Phạm. Location Sound: Tiến Bùi. Gaffer: Phan Bảo Quốc. Best Boy: Đào Trung Hậu. Art Team: Khim Đặng, Bảo Anh. 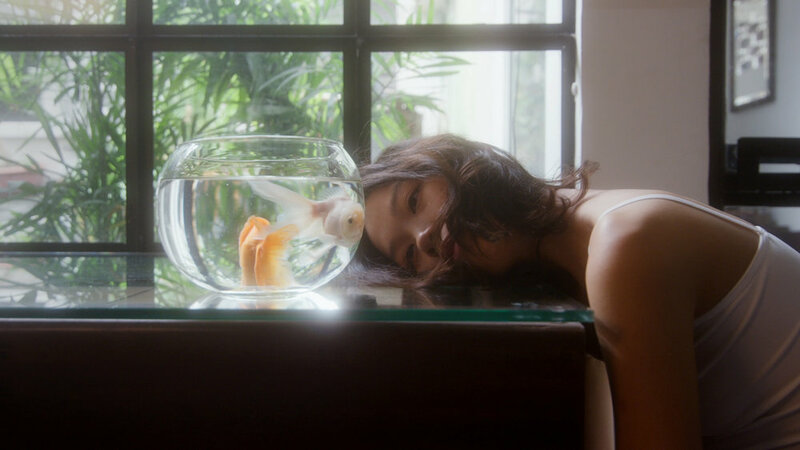 For more on the film, read our interview with director Jeannie Nguyen where she discusses stumbling into film, her artistic influences, and filming in Saigon [NoBudge Members Only].